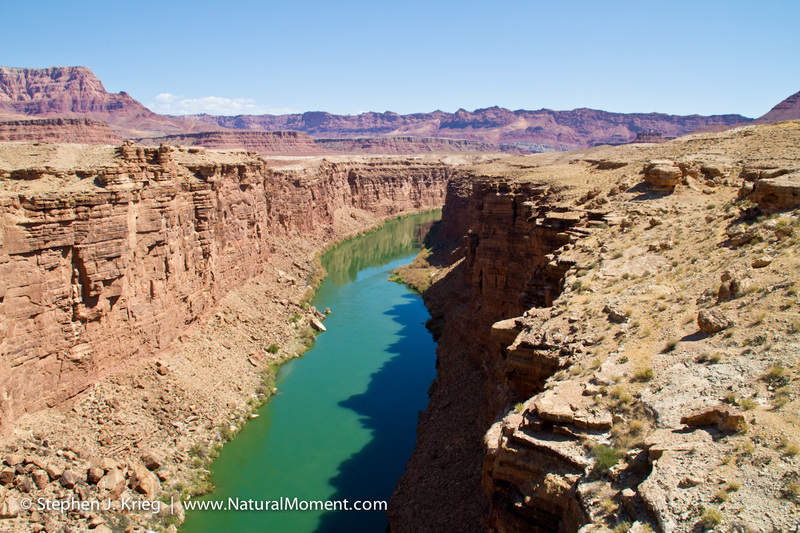 Our Grand Canyon river rafting trips that begin in Flagstaff (All the Grand, and Upper Grand) include transportation to Lees Ferry, where all Grand Canyon boats put in to the Colorado River. Riding from the cool mountain Ponderosa pine country at Flagstaff, then down across the Painted Desert on the western edge of the Navajo Nation, one sees the distant Vermilion Cliffs slowly getting closer. 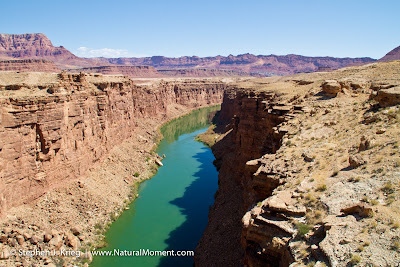 Finally, it's time to cross the Colorado River, on Navajo Bridge. Suddenly you're whizzing across the silver span, 470 feet above the river. It's the first chance you've even had to glimpse the river, so it's a doubly impressive view. 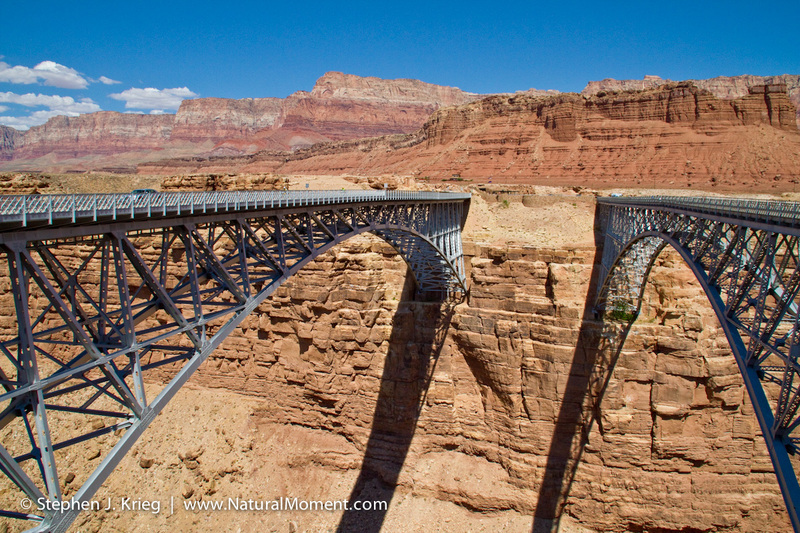 Their are two Navajo Bridges. The one on the right became too small for modern traffic, so it is now a tourist pedestrian bridge. On the east end, which is on the Navajo Nation, you will see Navajo artists selling their exquisite jewelry, pottery, etc. On the other end is the National Park Service's visitor center. There is no fee on either side, so it's a fantastic place to stop. You might even see a few California condors perched on the struts underneath the bridge, or on the nearby cliffs. 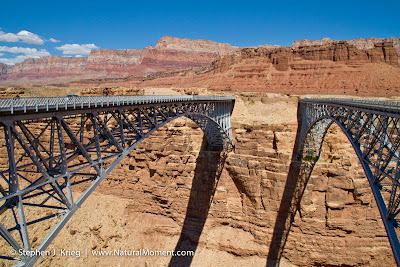 You will be passing beneath Navajo Bridge soon after your river trip launches. You will be at 3,100 feet in elevation, having begun the ride at 7,000 feet in Flagstaff. (Click on photos to see a larger version).